Dr. Marley Smith and Dr. Heather Smith both had an interest in chiropractic from a young age. Their love for fitness, exercise, and the outdoors motivated them to learn more about natural healthcare alternatives. After years of schooling, the couple graduated from Palmer College of Chiropractic and entered careers as chiropractors. 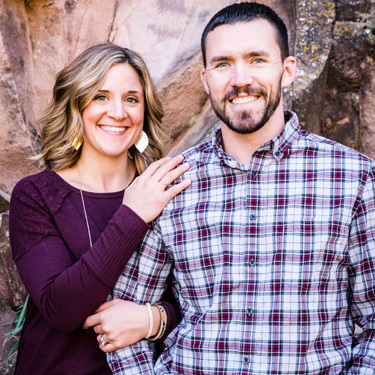 To this day, Dr. Marley and Dr. Heather continue to live out the chiropractic lifestyle they preach to the Cheyenne community with their two small daughters, Nora and Quinn. Dr. Marley and Dr. Heather have both obtained their Chiropractic Pediatric Certification (CACCP) and are members of the International Chiropractic Pediatric Association (ICPA) as well as the International Chiropractic Association (ICA). Dr. Marley and Dr. Heather also enjoy being active in their community. They have worked with several organizations, such as the local animal shelter, Habitat for Humanity, and various flood relief programs, and are also in good working relationships with Gold’s Gym and Natural Grocer. With the help of the Livin’ Well Family Chiropractic team, they also support numerous 5K runs in the Cheyenne area. Discover how we can help your family today by booking an appointment with us.